This is a deliberate twist on Tony Conigliaro’s original Death in Venice cocktail, as I am not as keen on the Campari used in that version. I much prefer the lighter, orange notes of Aperol, the drink that you will find consumed much more readily for an aperitivo around Florence & Tuscany. 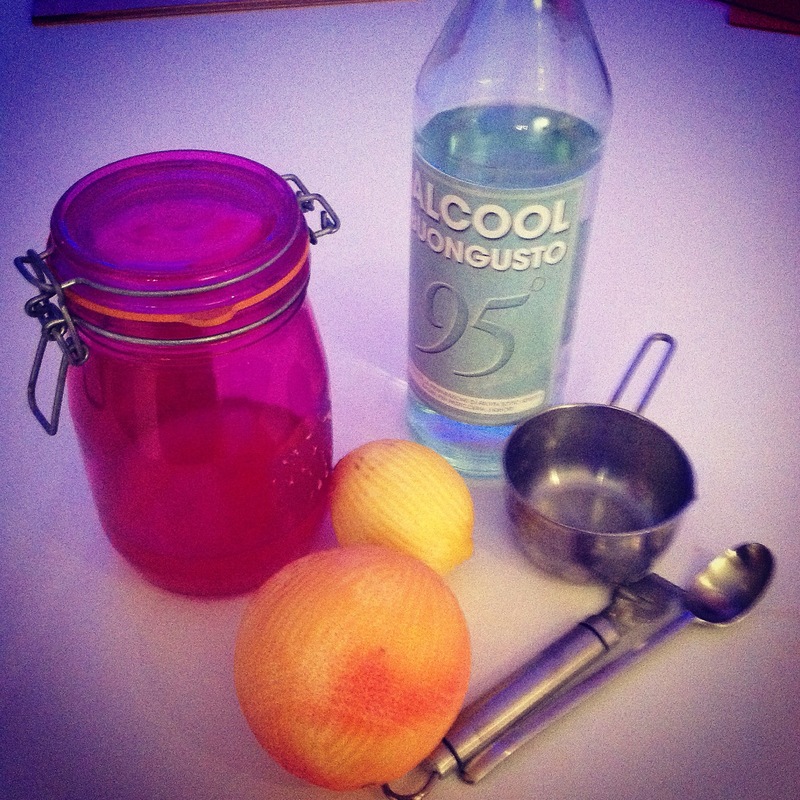 The recipe also uses the grapefruit bitters I made back in early December. The final drink has a good bitter bite, but some really refreshing citrus flavours, too. It’s important (I think) to get a really good, dry prosecco for this – if the wine is too sweet, the grapefruit bitters will jar, and the final drink won’t be nearly as refreshing. 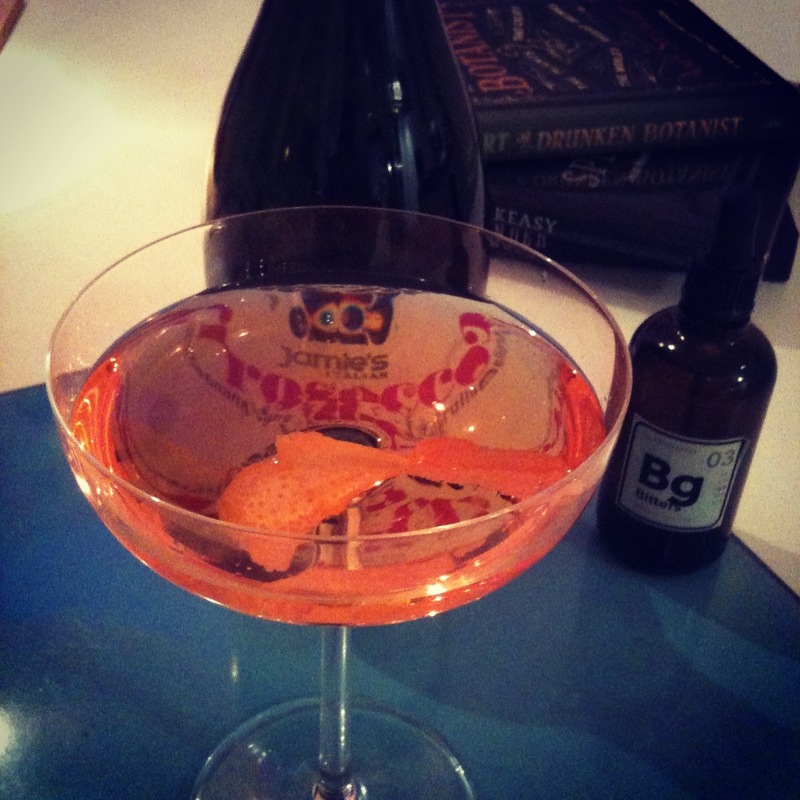 Pour measure of Aperol into chilled glass & add dashes of bitters; top up with prosecco. Garnish with a twist of orange peel. I have now bottled the latest batch of grapefruit bitters (named ‘Bg’). The use of the Italian strong alcohol has given the bitters a real kick, but the citrus of the grapefruit really shines through. The bitters are excellent in the Death in Florence cocktail, a variation I made on the original Death in Venice , invented by Tony Conigliaro. 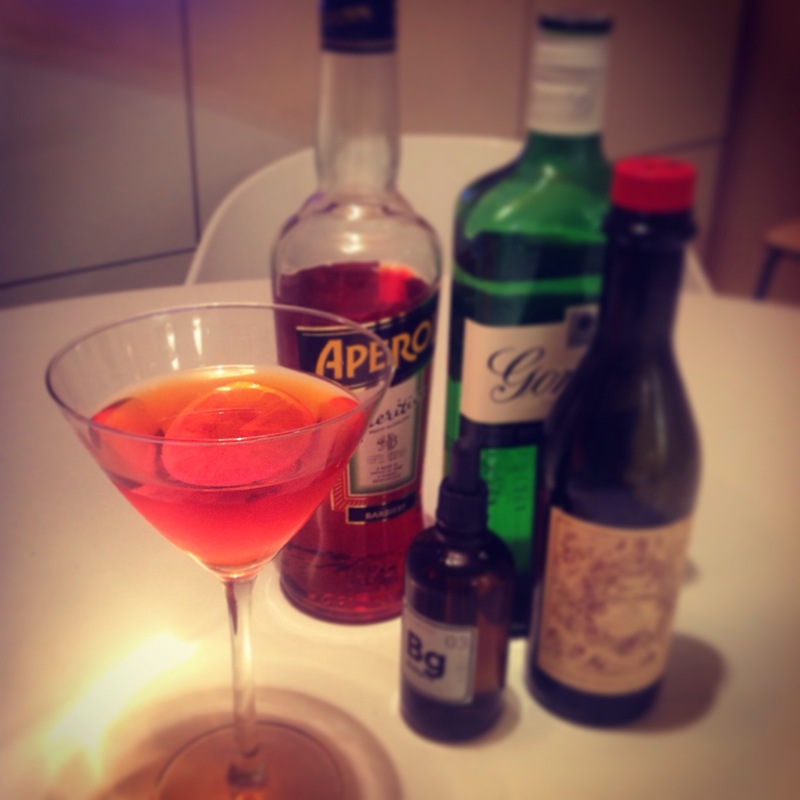 I changed the recipe to use Aperol, as I prefer the lighter, more orange flavour of this drink to the robust Campari of the original. This flavour now completes the trio of bitters I have made: a ‘house’ bitter, made with sour cherries; a clove bitter with plenty of spices & the grapefruit bitters, with a strong citrus, sage & lavender flavours. I was looking to make another batch of bitters, this time using my 95% alcohol, which I found in an Italian supermarket during the summer. Inspiration came when I discovered a fantastic recipe from Tony Conigliaro for the Death in Venice cocktail – a combination of Campari, prosecco, and a hit of grapefruit bitters; this is a cocktail that features at both 69 Colebrook Row & the Grain Store, so it comes highly recommended. 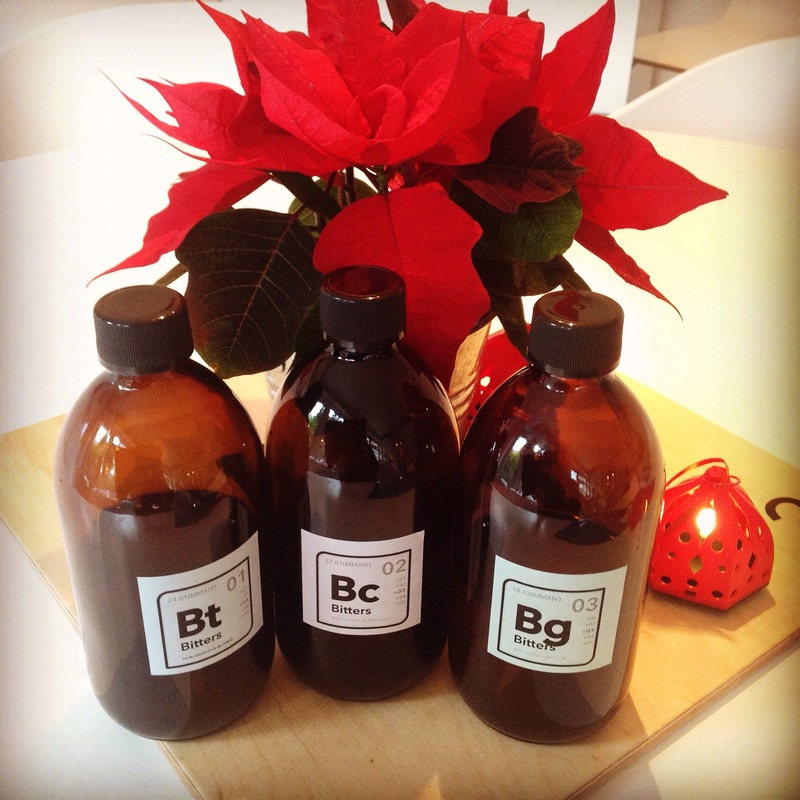 As this seemed like the perfect Christmas drink, and indeed was featured in an article about Christmas drinks, I went off to find a suitable recipe for this variety of bitters. I soon found one on the Serious Eats website, written by Marcia Simmons: the mix of grapefruit, juniper, lavender, coriander & a battering agent, seemed to have the right sort of flavour profile to make this cocktail really sing, so I have been making a version at home. Marcia used 100˚ proof vodka, rather than over-proof alcohol, as she described trying to get a mellower flavour with her bitters. I have opted for the Italian 95% alcohol, as I would like my bitters to have little more attack. I will describe the results in two or three weeks.